“Up at 7.30. Joey has been busy the last 2 days making a box for his tobacco. You not think me idle all this time as I find plenty pf pleasant occupation with my stamps. Rice for dinner to-day; this the sailors call “strike me blind” but why I cannot inform you. Saw the pigs being washed this afternoon; very edifying I can assure you. While we were out for a walk this afternoon Joey’s bed got a doctoring. He found the following articles there: 4 quoits, an iron cup & saucer, 2 pipes, matches, sundry books, a bottle of magnesia, 2 coats, waistcoats & trousers, some odd socks, 2 caps, 2 fishing lines, boots, some sheets & sundry various things. 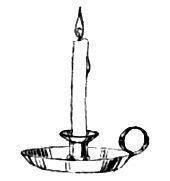 After a time he got things square & got to bed but when reading, the candle went out & he was obliged to get another to fix up.